Three teams in MLS's Western Conference remain unbeaten after six weeks. LAFC and Seattle aren't surprises, given their success in 2018. The former set an MLS record for the most points by an expansion team in its first season. The latter went 15-2-2 in its last 19 games for the best second half of a season in league history. Houston (3-0-1 after four games) is another matter. The Dynamo won the 2018 U.S. Open Cup to qualify for the 2019 Concacaf Champions League, but it faded in the second half of the regular season and finished with a 10-16-8 record in ninth place, 11 points removed from the playoffs. With the challenge of starting the season in the Concacaf Champions League, many MLS teams struggle in league play. 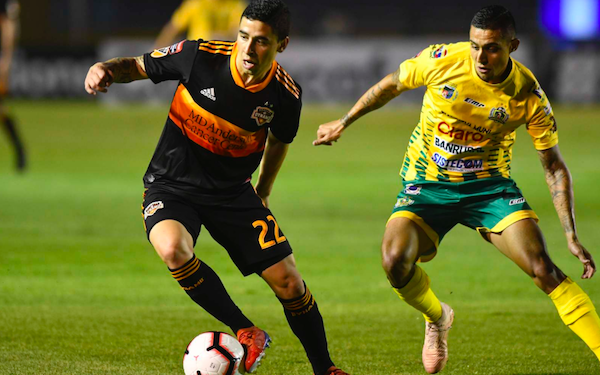 The Dynamo didn't get past the quarterfinals of the Concacaf Champions League, losing to Tigres (2-0 and 1-0) after beating Guatemala's Guastatoya twice (1-0 and 2-1), but Dynamo head coach Wilmer Cabrera said the Concacaf run provided momentum that has carried over to its MLS start. "We were solid against Guastatoya," said Cabrera, "and then the game we played in Monterrey we were even against Tigres. The end it was a 1-0 in a set-piece situation when we were with 10 men, in that moment. That helped us to set the tone, set the bar, and to understand that we have a good plan, we’ve been working well and with the new additions we are an organized team that can play." 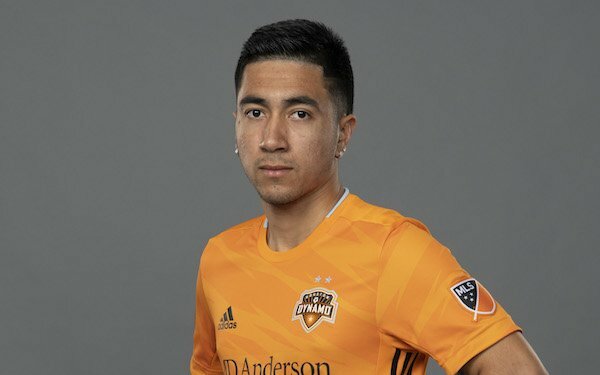 Houston has one of the smallest payrolls in MLS, but its offseason acquisitions -- Slovenian international Kiki Struna and veteran Honduran Maynor Figueroa, who came over from FC Dallas, at center back and Argentine Matias Vera (photo) in midfield -- have provided stability to the Dynamo's defense. No fireworks after big road win. The Dynamo's schedule has been in its favor. Its last three games were against teams that didn't make the 2018 playoffs, and it opened with three games at home before winning, 4-1, at Colorado. Cabrera didn't want to put too much into the win over the Rapids. "We’re not sending fireworks or anything," he said. "It’s just one game. It was a good game, but that’s it." The Dynamo has one of the most explosive teams in MLS with an attack built around 23-year-old Colombian Mauro Manotas, who set a single-season Dynamo record with 25 goals in all competitions in 2018, and 23-year-old Honduran Alberth Elis, who scored 21 goals in his first two MLS seasons. Making the most of his chance. Houston's top scorer, though, has been another 23-year-old, Memo Rodriguez. He has four goals in four games, surpassing his scoring production in his first three MLS seasons after signing a Homegrown Player contract out of high school in El Campo, a small town located about halfway between Houston and Corpus Christi. No excuses for schedule. The Dynamo's schedule left it with two weeks between its 4-1 win at Colorado and Saturday's game at home against San Jose. It's already had two bye weeks, the first coming during the FIFA window in March.